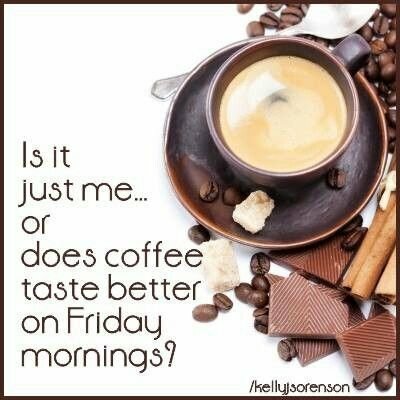 Good Morning, Happy Friday and WOOHOO to a weekend! Grab a cup of coffee, a BIG one, and let’s get started on our day! Sorry I wasn’t here yesterday – I got hit with a big case of the “I don’t care” bug and decided to watch silly sitcom re-runs with Hubby instead. Usually I watch while I work, but I just didn’t want to mess with it. There are days when I don’t even know if anyone is reading, or it feels redundant and I struggle to want to stick with it. I have requested my readers to sign up for email delivery of the posts, but nobody really has. Facebook hides my posts, I don’t see the numbers there, and quite honestly, doing this for free was fun to start with but it’s gotten a bit tired. I have tried to kick things up a bit by becoming an Amazon affiliate, but nobody clicks the links anyway. Do you see where my blahs are coming from? Tell you what, if you read and you like what you see, please, help me out and sign up for emails, then get onto the Facebook page and click LIKE and SHARE with your friends. If more people see the posts, there is a good possibility some of them may like what they see and share with their friends also. Thanks! 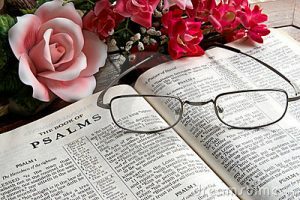 “The prayers go up and the blessings come down…” The words to this children’s song are only half right, because God sends his blessings many times even when we don’t pray. But just as we love the special smell that comes with a drought breaking rain, God loves the aroma of his children’s joy, especially when he is the source of its delight! I have a friend in Jesus who has taught me the power of sharing a spiritual blessing with others. I can’t think of a better one than the short blessing in today’s verse! Grace, love, and fellowship — all rooted in the eternal, sacrificial, and gracious nature of our God. We share these blessings with God’s children all around the world. The top political story in the news right now is the Kavanaugh accuser and her ridiculous allegations against the Supreme Court Nominee. It isn’t that I discount women who have been assaulted or hope that they won’t be believed, but women like this, they reduce the significance of true assault stories and minimize them to a level of unimportant. Having been the victim of abuse in the past, I know that the trauma and feelings that surround this type of an event are real, dealing with those feelings is difficult, and that anyone who has been a victim is NOT going to wait over 30 years until their alleged attacker is being nominated to a very important political position before coming forward. Nor are they going to make unreasonable demands in order to testify against them. Please do not take this farce seriously. 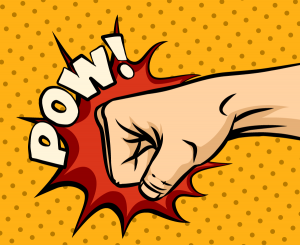 Just because a woman accuses someone of something does NOT mean that they did it – because sometimes women say these things to get their own way, to destroy someone else’s life, or because she’s being paid off. Don’t minimize the real victims by giving credence to the fake ones. National Teach Ag Day – This is one to be supported wholeheartedly and with great enthusiasm! 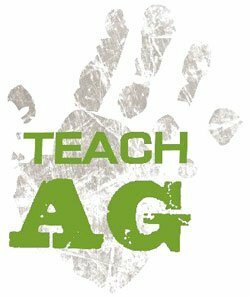 National Teach Ag Day was set up as an initiative to bring the attention of students to the career of agricultural education, getting students to thinking about possibly becoming agricultural teachers, and to support current ag teachers in their careers. Every day there are thousands of agriculture teachers in our country teaching students about current issues that agriculture is dealing with. As our population increases we have the need for more and better sustainable practices, and what better way to do that then through educating students and the public about how important agriculture is to our daily lives. 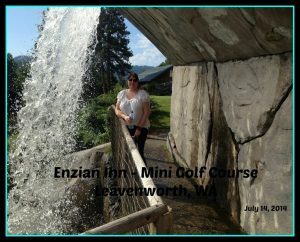 Miniature Golf Day – I love miniature golf. It’s so much fun, and it is the only kind of golf I’m any good at playing. OK, well, good is relative . . . I EVENTUALLY get that little tiny ball to its destination. It sometimes takes a while, but I have a lot of fun throughout the process. If it weren’t for wanting to get a bunch of stuff done here today, I’d ask hubby to go play a round at the little mini-golf course that’s a few miles from here. I really should check that out sometime. 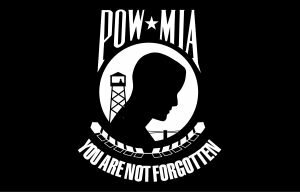 The POW/MIA flag is also supposed to be flown at all US Post office buildings, Veterans Administration, military memorial facilities, and many U.S. government buildings. Honestly, I am sitting here wracking my brain trying to remember if I’ve seen it flown at any of our small local post offices, and I can’t honestly say that I can! That really bothers me! Take a few moments today to remember our missing soldiers, and those held as prisoners of war. 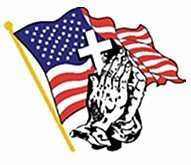 Attend a ceremony in your area, say prayers for the POWs and MIAs, write to your senators and congressmen to urge continued and increased efforts in bringing home every service man and woman. They gave their all for us, and doggone it, they deserve to come home! 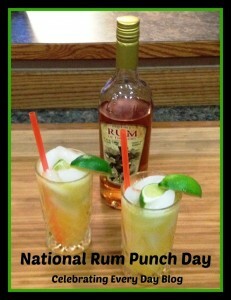 Because there is absolutely no factual information on this one that I could find, I’m going to guess that maybe it’s the sort of punch from a punch bowl, since it is also National Rum Punch Day! More fun than a punch to the face anyway, right? 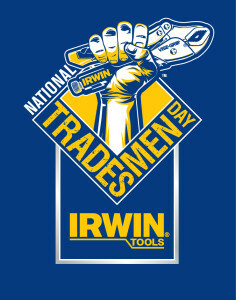 National Tradesmen Day – How many things can you think of that required the talents of people who work with their hands to create and keep running? Today we honor the men and women who do such work, who helped build America and keep it running strong every day. Tradesmen build our homes, schools and churches. They keep our cars running, keep the lights on and our homes warm. They fix our leaky pipes, and a myriad of other functions that are too numerous to list. America’s professional tradesmen are the backbone of our nation. I’ve often heard snooty people disparaging people who work with their hands, as if they aren’t as good or as important. I challenge any of those people to fix their own cars, plumbing or electrical systems. They’d be stuck in the dark, by the side of the road, or in a flooded kitchen. Seriously, get off your high horse and acknowledge that it’s the blue-collar folks that keep the wheels of this nation turning. September 20, 1973 – Billie Jean King defeats Bobby Riggs in a battle of the sexes tennis match. September 21, 1945 – Henry Ford retires from Ford Motor Company. 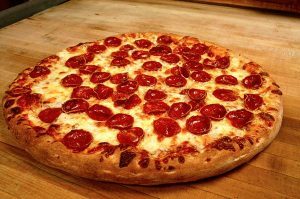 National Pepperoni Pizza Day – Did you know that pepperoni pizza is the national favorite? Yep. it’s #1! Almost everyone loves pizza because it’s delicious, but it also travels well, can be made at home, or even delivered to your house if you live within a delivery area of a local pizza place. It can be eaten for breakfast, often cold, lunch, dinner or a snack. As a matter of fact, hubby has mini-pepperoni pizzas in his lunch! You can easily make them fairly low carb by using Mission 3 net carb tortillas, the top them up like they were a traditional pizza crust. Yum! Over 17% of restaurants are pizzerias or serve pizza. National Rum Punch Day – I haven’t tried any of these recipes, but they certainly sound yummy! Nothing starts a party going like a punch bowl, so fill it up with one of these yummy combinations. Please make sure that nobody drinks and drives though! Be a responsible host always! 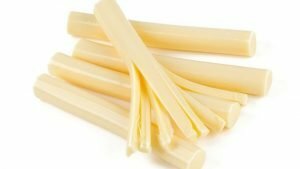 National String Cheese Day – I suppose that I should put this with the food celebrations, but string cheese is more than just food. It is fun! Some folks call it String Cheese, others Snack Cheese (though I’ve never heard this), and some call them Cheese Sticks. It doesn’t matter what you call them, they are delicious. These are easy to pack into lunches, for picnics or to take on hikes. Kids love them, but so do adults. I know we usually have a bag of them in the fridge to take along to work for an afternoon protein snack to get us through the rest of the day. These are usually made with mozzarella, but there are other cheese flavors formed into sticks and packaged in easy-to-open wrappers. I recently found a recipe for a delicious low-carb appetizer that some folks might not truly appreciate until they’ve tried it. it’s very simple – you unwrap some string cheese, dip them in egg wash, then roll them in ground up pork rinds (I’ve not always been a fan of pork rinds, but they make a great substitute for bread crumbs. ), then deep fry them! Once they are cool enough to eat, dip them in marinara and enjoy! 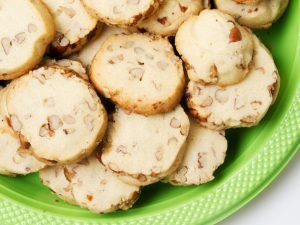 National Pecan Cookie Day – When I was little we didn’t buy many store-bought cookies. Most of the time when Mom made homemade cookies they were chocolate chip, peanut butter or sugar cookies. At Grandma’s house we would get her homemade applesauce cookies or her amazing oatmeal cookies. I know that sounds like we were spoiled for wonderful home baked treats, but I remember sometimes Mom would buy a package of either ginger snaps or these pecan sandies for my Dad. They were for his lunch, so we weren’t allowed to dip into the package without permission, but when Mom would open them up, she’d hand us one with our milk. I’d nibble little bits off of the edges very slowly, and the butter nutty deliciousness would just melt in my mouth. I’ve always loved them, though oddly enough I don’t actually buy any for myself now that I’m a grown-up. What I DO do though, is annually bake Mexican Wedding Cakes at Christmas for my Mom, and I end up doing a double batch because I love them too. There’s still that buttery, melt in your mouth deliciousness, combined with the sweet messiness of powdered sugar. It’s nearly that time of year again, when the cookie planning must begin, and those are usually on the very top of my list. The good news for people who are eating low-carb, is that there are some awesome recipes out there, including this one from Carolyn Ketchum. I may have to whip up a batch today. I have a very busy week ahead of me, and I’ve already been sitting here for far too long. Between doing my regular paperwork for home stuff – you know, like the dreaded bill paying, balancing my checkbook, and other mundane things like that – helping prep for my daughter’s wedding, cleaning up the house for a friend coming in from out of town and all sorts of OTHER chore related things, I need to get busy and get it done! This is going to be a very busy weekend, so I’d better get started. God bless you and I’ll see you tomorrow!